3. 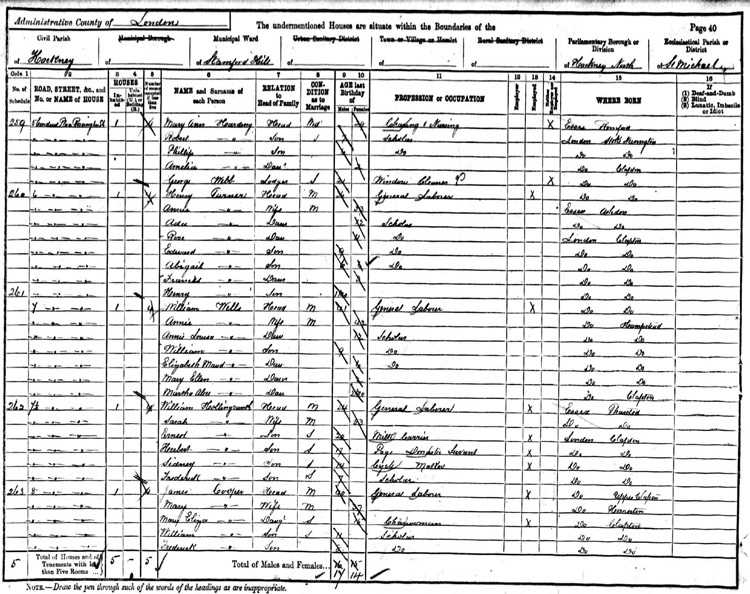 Read Source 3.This is the 1891 census return for Conduit Place. What type of work did the head of the household do? Did the children go out to work? Did the wives go out to work? Who other than the Harding family lived at 5 Conduit Place? What else do you notice about the Harding family? Why do you think they had a lodger living with them? Conduit Place does not exist today. Make a list of reasons why it might have been demolished.